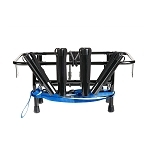 Universal Jet ski fishing rack made of high quality marine grade stainless steel and then professionally powder coated in flat black. 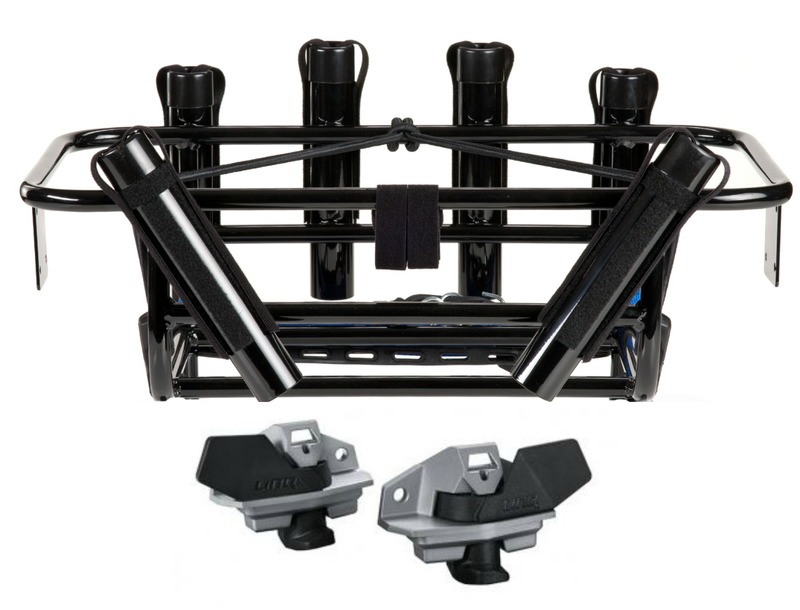 Our jet ski fishing racks includes 6 Rod Holder fits on any Sea Doo with LinQ Systems. 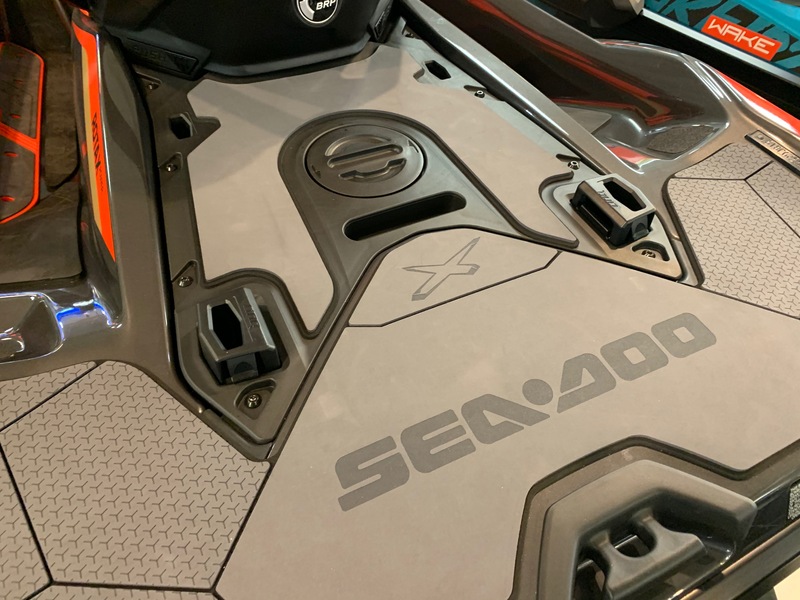 No drilling or modifications is needed to your personal watercraft and installs in a couple of minutes. 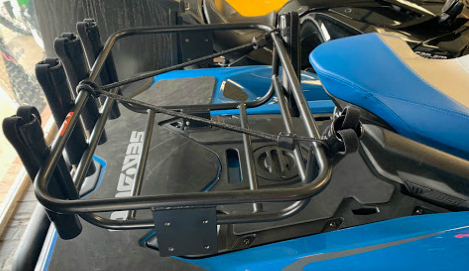 For Yamaha and Kawasaki an additional optional bracket can be installed and does require 4 holes drilled to accommodate the LinQ brackets. 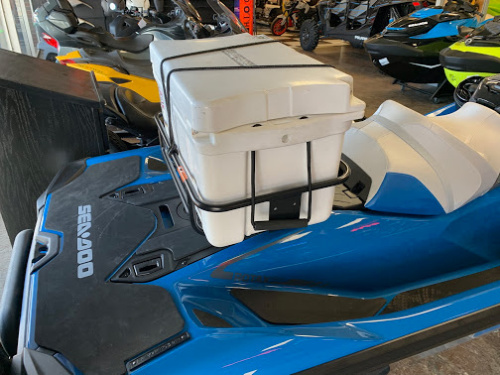 When measuring coolers for our racks - measure the height to only halfway up (12.5 inches) the cooler to get a more accuracy.